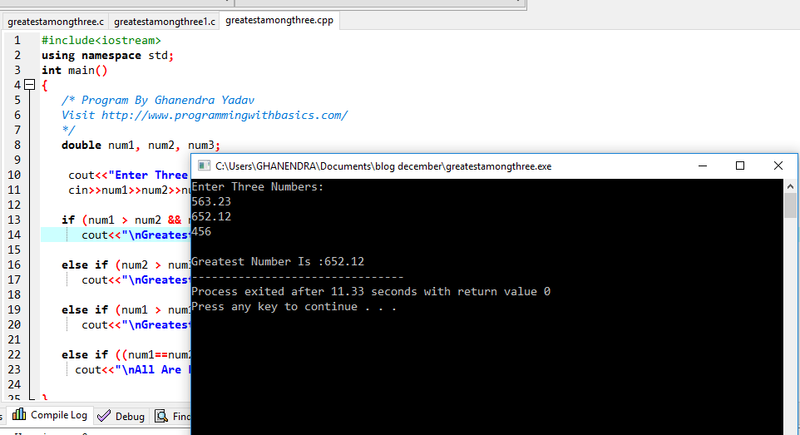 Problem :- Write A C++ Program To Find Greatest Among Three Numbers .Take three numbers from user and print the greatest number among them ex :- three numbers are 10 ,20 ,30 then 30 is greatest show 30 in output screen . Step 1 :- Select first number 55 and compare to 65 and 75 as we know 55 is not greater so control transfer to second condition . Step 2 :- Now choose Second number 65 and compare to 55 and 75 as we know 65 is greater that 55 but not greater than 75 so control transfer to Third condition . 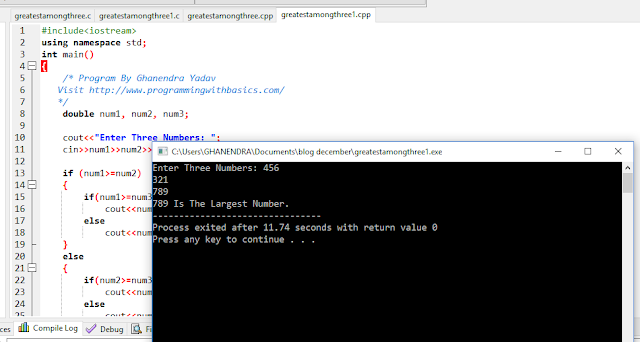 Step 4 :- This is a Special Step if all condition didn't Match then All Number are equal .Example :- 50 ,50 ,50 then control goes to last condition and program Output is "All Are Equal "